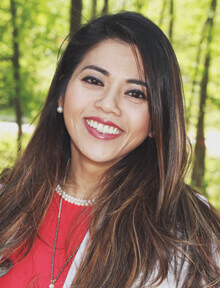 Dr. Truc Nguyen is a family medicine physician, with a profound interest and emphasis on functional medicine, which allows her to treat her patients as individuals while getting to the root cause of illness. She has noticed there are certain structures within the healthcare system that inadvertently diminish the patient-doctor relationship and how the lack of this powerful relationship affects the outcome of patients. Patients want to be heard and understood by their doctors and Dr. Nguyen brings that to her practice. She also trained in Functional Medicine with the Institute of Functional Medicine – using biomedical testing, food-as-medicine, mindfulness (meditation), lifestyle modifications, and coaching/interviewing techniques to effectively identify and treat the root cause of diseases. She acknowledges her courageous parents, her son, and her brother for supporting her and her dreams in pursuing individualized high-quality healthcare for all people. Dr. Nguyen sees patients age 7 and up.